WEDNESDAY, Dec. 9, 2015 (HealthDay News) -- Intensive treatment to lower blood pressure below currently recommended levels reduces the risk of heart attack and stroke in patients with high blood pressure, heart disease, diabetes and kidney disease, a new study shows. Effective blood pressure goals have been the subject of much recent scientific debate, with another recent study also supporting lower targets. For this study, researchers analyzed data from 19 clinical trials that included nearly 45,000 people. They wanted to assess the potential benefits and safety of pushing systolic blood pressure in high-risk patients below the current target of 140. Systolic is the top number in a blood pressure reading. Compared to those who received standard treatment, average systolic pressure was 6.8 lower and diastolic blood pressure was 4.5 lower in patients who received more intensive treatment -- 133.2/76.4 versus 140.4/80.9. Intensive treatment patients were about 14 percent less likely to suffer a heart attack, about 25 percent less likely to suffer a stroke, and about 20 percent less likely to have progressive retinopathy (damage to the eye's retina), the study found. The greatest benefits of intensive treatment were seen in patients with heart disease, kidney disease or diabetes, according to the study recently published in The Lancet. Intensive treatment did not appear to reduce the risk of heart failure, heart-related death, kidney failure or premature death, however, the researchers said. The findings show the need to revise current blood pressure target guidelines for high risk patients, the study authors said. "Our robust evidence clearly shows that treating blood pressure to a lower level than currently recommended targets results in better health outcomes for patients," lead author Anthony Rodgers, professor of global health at the George Institute of Global Health in Sydney, Australia, said in a journal news release. Rates of serious side effects were similar in the standard and intensive treatment groups, but intensive treatment nearly tripled the risk of abnormally low blood pressure, the study found. "These adverse effects are important but do not outweigh the benefits of lowering blood pressure using intensive treatment in high-risk patients," Rodgers said. But much more research is needed to determine how to easily and safely achieve and maintain greater blood pressure reductions, he said. "Patients are also likely to benefit from non-drug approaches such as weight loss and restricting salt intake," he added. The study "provides strong evidence that intensive blood pressure reduction is more beneficial than less intensive blood pressure reduction," Mattias Brunstrom and Bo Carlberg of Umea University, Sweden, wrote in an accompanying editorial. Another study, published last month in the New England Journal of Medicine, also concluded that lower is better when it comes to blood pressure. 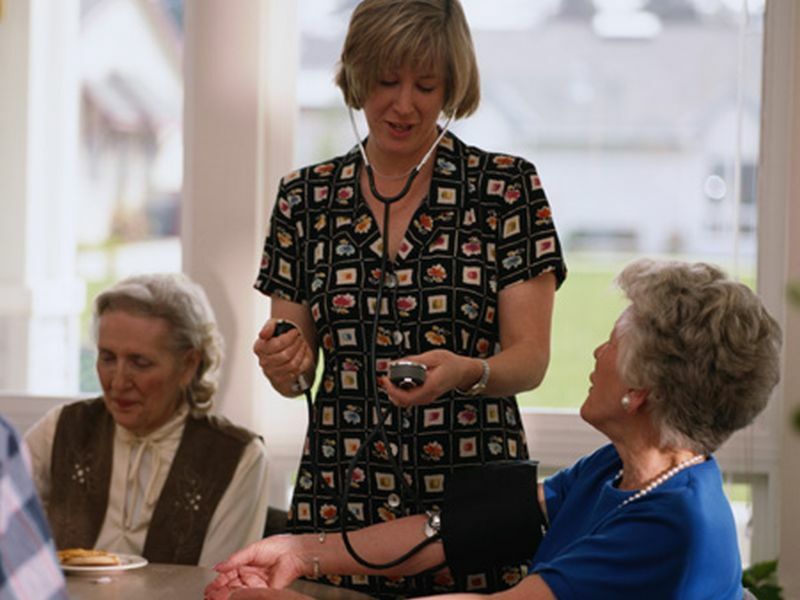 The SPRINT trial revealed that a target systolic blood pressure of 120 reduces by about one-quarter the rate of death, heart attack, heart failure and stroke, compared with the currently recommended target pressures of 140 for people under age 60 and 150 for seniors. More than 9,300 participants aged 50 and older were recruited for SPRINT from about 100 medical centers and clinical practices throughout the United States and Puerto Rico. The U.S. National Institutes of Health-funded trial ended early so that the agency could share "potentially lifesaving information" with the public.